Looking for Brazilian Jiu Jitsu in Tameside? Want more than just Fitness Classes? Train at the highest calibre and be in the best shape of your life! Viva offers Mixed Martial Arts, Kickboxing, Submission Wrestling and Brazilian Jiu Jitsu classes at our gym in Tameside, Manchester. We strongly believe in training alive and remain true to our values of authenticity, honesty and sincerity in all that we do and offer. Many of our members train combat sports with us as a hobby or for fitness, but we also have, and support members who are actively competing in MMA and BJJ, locally in Manchester, nationally and internationally. We always look to leave our ego's at the door because in the gym, on the mats everyone is equal. Rank and Hierarchy play little role in our training we're all referred to on first name terms. You'll never be expected to bow down to anyone nor should you expect anyone to bow down to you, we just have good manners and a light-hearted yet serious approach to training. We are also proud to be the only gym in Tameside to offer a true Kids MMA and Kids BJJ program this places us at the forefront of Kids Martial Arts in Manchester. Providing children the opportunity to train legitimate combat sports and effective, proven martial arts in a realistic yet safe environment. We encourage questions and innovation even from our youngest members. You'll not see our kids in rank and file mindlessly following orders, we don't do kata, it's not how a fight unfolds this isn't Karate, instead we encourage self discipline and self motivation. Become a better version of you, both physically and mentally. Conquer your ego. Discover how you react under pressure, learn how to become comfortable in uncomfortable places. Training alive is the ultimate form of self discovery. All our classes are synergistic to make sure you’re capable and confident at all ranges. Promoting learning in a way and at a pace that suits you. We’re confident that our fight proven techniques work equally well in and out of the cage. Build a high level of functional fitness. Become more mobile and stay stronger for longer. We work at a variety of intensities and encourage you to embrace the sweat, gain more speed, agility and flexibility in a way you wouldn’t in a conventional gym. Brazilian Jiu Jitsu is regarded as the most effective grappling art. BJJ uses technique and timing, not size and strength, to gain and maintain a dominant position. It also teaches you how to stay safe and put yourself in a more dominant, less dangerous position, if you find yourself in an unfavourable place. 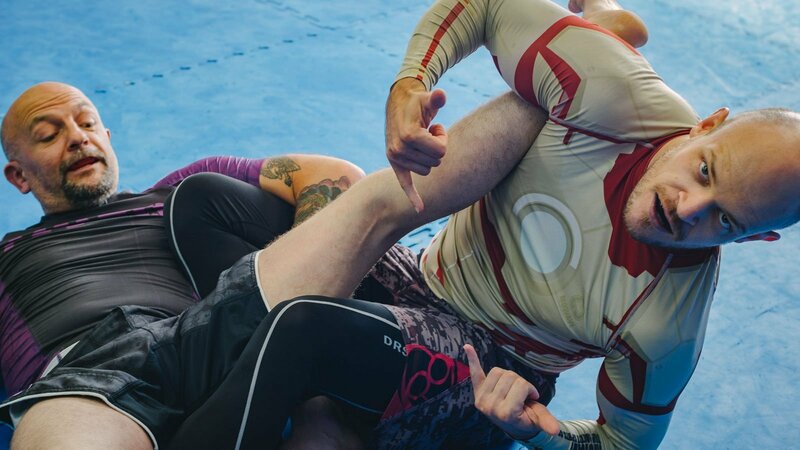 Because the focus is on technique not strength, BJJ is an excellent way to neutralise larger, more physically able, opponents. It is a great combat sport to work on its own and is an essential part of a strong MMA game. Our Kids Martial Arts classes are suitable for children aged 7-14. We run two congruous childrens programmes, our kids BJJ classes and our kids MMA classes. Our classes focus on learning new techniques in a fun, interactive and safe setting. We strongly believe that instilling our gym values into the classes helps nurture coherent team working, promote good social awareness and teaches self-discipline which helps your child to excel in all areas of life, not just the gym! Mixed Martial Arts is regarded as the “ultimate” martial art / combat sport, and is often referred to as the gold standard of fighting styles. Our MMA classes incorporate training from our grappling, wrestling and striking programmes, focussing on each range and how to transition effectively between the ranges. 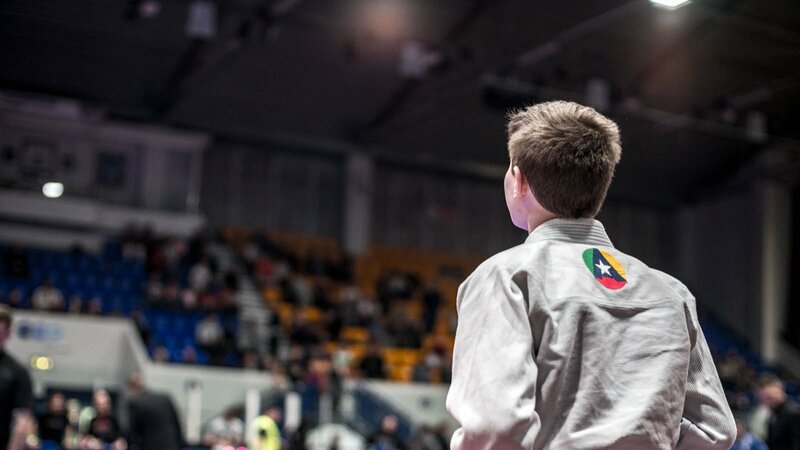 Our Mixed Martial Arts programme also looks at the strategy behind winning a fight with the least risk. Mixed Martial Arts is the absolute best Self defence programme available as it covers all the ranges you could encounter. Kickboxing has a high work rate, ensuring you get plenty of cardio exercise whilst learning how to address the standing striking range, making it an excellent choice for fitness, self-defence and competitions alike. If you plan to train, or compete in MMA you need to be both, able and confident, proactively working in this range. Our classes cover multiple styles of striking incorporating techniques from Muay Thai and Kickboxing. This class is high intensity and great fun for all abilities. The term “training alive” originated following UFC 1 in 1993. In UFC 1 fighters from all backgrounds, fighting styles and training methods fought against each other to identify the “best” fighting system. The results proved that fighters who trained a combat sport against resisting opponents did significantly better than those who trained techniques only or trained with a complaint training partner. Combat sports are considered to be about much more than just knowing a technique and are a collaboration of skills, like timing, energy and motion and knowing how to apply a specific technique in the right way at the right time. You can only truly acquire these skills by training with a fully resisting partner. We are a team of hands on coaches here at Viva. You will never see us sitting on the side-lines but, you will see us all on the mats in the thick of the action. We don't just demonstrate, sit back and watch you work, we're on the mats training with you. We all have a wealth of first hand competition experience as well as having trained in and around Manchester and Tameside for over 40 years. Everything we teach is from first-hand experience, the only experience that matters. "Griff" is our BJJ and Grappling coach, and is a Black Belt in Brazilian Jiu Jitsu under Helen Currie. Griff takes all of our adult and kids BJJ classes and virtually lives in the gym. Griff strives to constantly improve his own and others techniques and is available to take private sessions alongside the BJJ classes. He is very approachable and will give you honest, knowledgeable advice based on his many years of competition experience. Previously he has been the Ground Countrol -68kg Advanced No-Gi National Champion, UMA - 65kg National Groundfighting Champion, has competed in the IBJJF Europeans -62kg BJJ Purple Belt category and has won several regional competitions in Liverpool, Manchester, London and Birmingham. Having such faith in the application of technique over size he has also competed open weight facing opposition in excess of double his bodyweight. In Wrestling he won Silver at the Aspull International Open -62kg and competed in the British Nationals -57kg. He is also a qualified, experienced referee in both Brazilian Jiu Jitsu and MMA having previously refereed well over 40 MMA fights, and countless BJJ / submission grappling matches. Griff has also played a key part in rule writing and was the head referee for the Takedown MMA organisation. Avi is our MMA and Kickboxing coach, he takes our Tuesday and Thursday evening classes. Avi is a prominent professional MMA fighter who has previously held the ISKA Professional Welterweight British title and the Fightstar Middleweight Pro title and has been training Mixed Martial Arts in Manchester since 2007. As a result of his training and success, Avi understands what it takes to be a high level athlete and is able to articulate it well with his calm and attentive coaching style when motivating others to reach their fitness goals in the sessions. 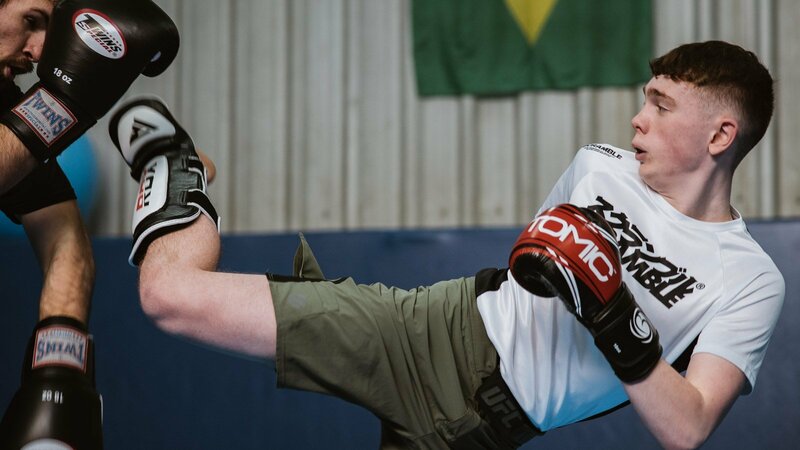 Outside of his personal competitive pursuits he has also refereed extensively within the MMA circles and therefore has a very clear understanding of how to maintain competitors’ safety whilst training sparring and competing and a breath of knowledge of the sport that you can only obtain through years of immersive training. Outside of the gym Avi has held an SIA license and spent time working the doors in Manchester. If you’ve seen Roadhouse we feel that’s enough said. Matt is our Submission Wrestling coach, and resident Sports Therapist. Matt is a BJJ black belt and has previously won the Manchester BJJ open -80kg. He has proved himself time and time again in competition with, Wrestling and MMA also. Matt is a very well rounded grappler and has an innate ability to blend the standing and ground ranges together seamlessly, an important skill for aspiring MMA athletes and submission grappler. Matt also offers Sports Therapy, and as well as being able to offer generalised prehab and rehab sessions to clients, he occupies a niche specialism in truly understanding combat sports, the common injuries, imbalances and problems associated with them. He is able to help you speed up your recovery and minimise your time away from training. Matt is highly regarded in this field and works with several of the top clubs in both Manchester and Liverpool. It was from early no holds barred competitions like UFC, that Mixed Martial Arts as we now know it was born. In these early competitions one fighting style was pitted against another, but over time athletes came to realise that by cross training multiple styles their results improved. After many years of continual adaptation and evolution, fighters with hugely developed, honed and precise arsenals in every range, including striking, grappling, wrestling and clinch were produced. Mixed Martial Arts today is a fight style in its own right, as with all martial arts it will continue to build on its roots from component martial arts and evolve. 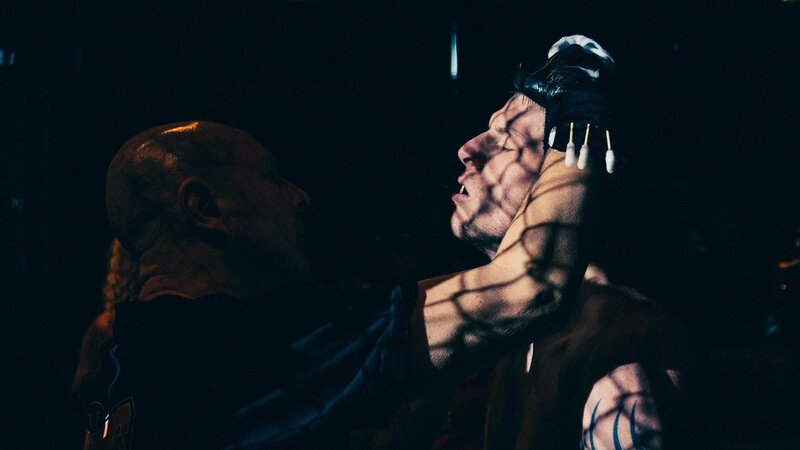 MMA in Manchester is very popular with a great competition scene right from the grass roots to top flight professional level, it's a very exciting place to train in a constantly evolving sport. Just like MMA and other combat sports, Brazilian Jiu Jitsu has evolved not just since Vale Tudo fights in Brazil, and earlier Gracie challenge matches. BJJ was actually born out of an early form of Judo, ( then known as Kano Ju Jutsu) brought to Brazil by Mitsuyo Maeda from Japan. Since then it has continued to evolve and grow into a Combat Sport of its own. At Viva we are committed to the evolution of combat sports and work hard to ensure we offer you the most up to date BJJ, MMA and Kickboxing in Manchester.